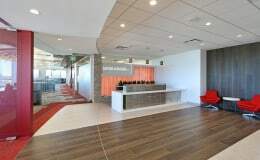 Pacific Building Group was founded in San Diego in 1984 by Greg Rogers and today is one of the region’s leading general contracting firms, with a reputation for quality construction and lasting relationships. We Build Pride reflects the focus we place on building projects in which businesses and their employees take pride and communities embrace. As builders, and not just managers, the firm’s hands-on approach creates value for owners in all phases of construction. PBG seeks to inspire others to communicate and discuss new ideas and trends in the building industry, including technology and new products and procedures. This open sharing of ideas encourages the team to always be thinking of new ways to increase productivity.